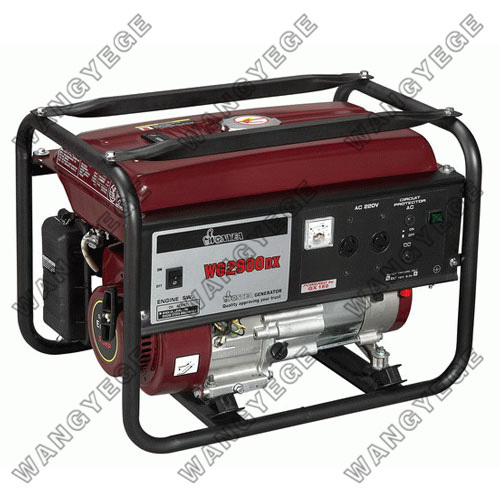 ● Powered by Wangye 4-Stroke OHV petrol Engine. ● Neat and economical for classical design. ● Circuit breaker protects overload operation. ● Emergency low oil alert warn the low lube oil level. ● Large muffler for quiet operation. ● AVR alternator provides stable voltage and current. ● Standard configuration of voltmeter.